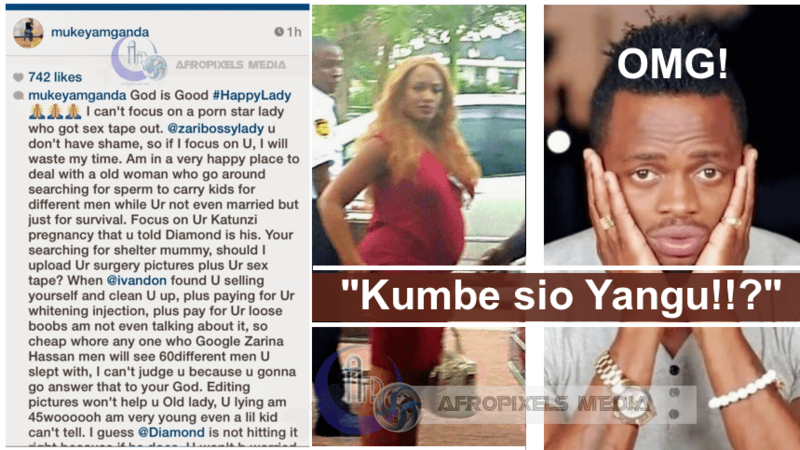 Home Entertainment Celebrity News ALLEGEDLY, DIAMOND DID NOT GET ZARI PREGNANT. FIND OUT WHO DID! ALLEGEDLY, DIAMOND DID NOT GET ZARI PREGNANT. FIND OUT WHO DID! Diamond’s relationship with Uganda’s reality TV star, Zarina Hassan, has drawn lots of attention and inevitably, the flak of controversy that comes with stardom. From Wema Sepetu taking shots at her every now and then and people labeling her as a cougar, it seemed the relationship was bound to shatter before long but the pregnancy snubbed out much of that. 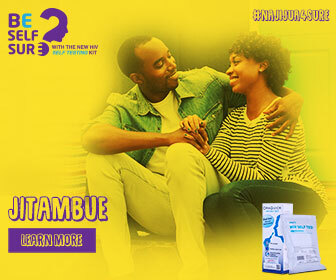 Pregnancies have a way of sealing the deal. But that also has come into the picture. The beef between Chagga Barbie and Zari has been as comical as it has been pointless. The former has been throwing jabs at Zari since she started dating Ivan Semingwa who is Zari’s ex-husband with whom they have three kids. 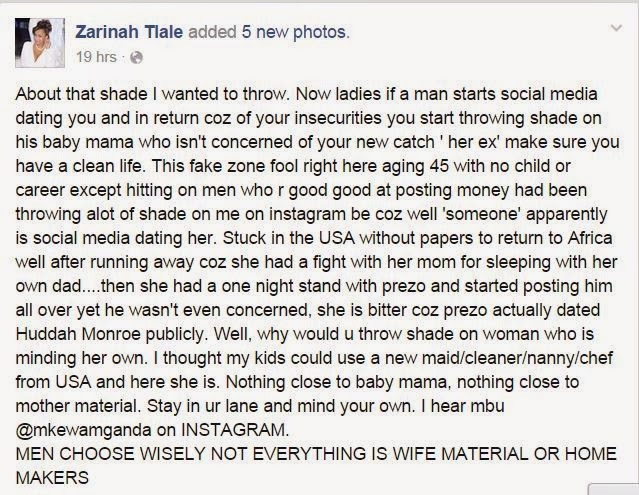 In a recent move, she took to IG and slandered Zari exploring her morality and saying, in not so kind words, that she should tell Diamond that the baby is not his but Katunzi’s(whoever he is). Zari was all cool about it. She did not go all guns blazing in her reply. She took a cool front and ignored the allegation altogether instead focusing on the point of Chagga being stuck at the US with no papers and no cash to come back to Africa. Chagga is a known attention seeker. Since her brief stint as Prezzo’s girlfriend she has been a whistleblower but there’s always some little truth in among the whistles. How true is this?